The perfect combination of sailing performances and comfort has always been the essence of Beneteau First line. 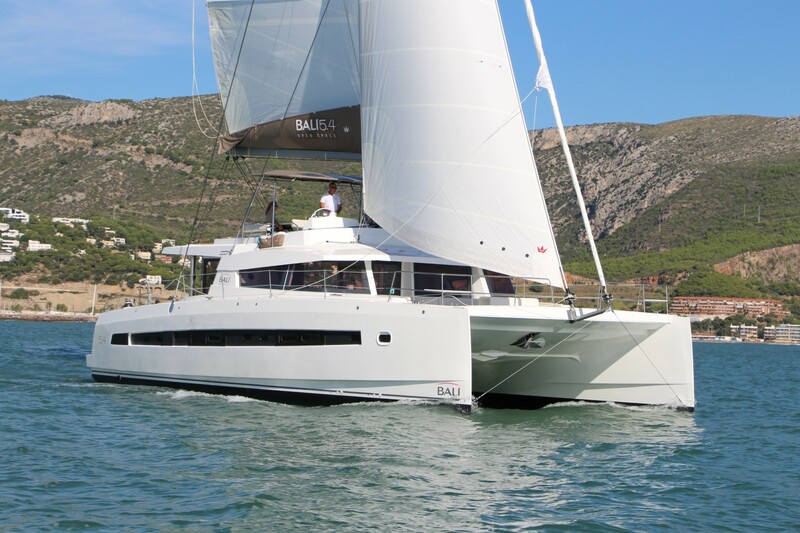 Beneteau First 30 merges all major features of excellent cruiser-racer. This yacht, in fact, plays a double role because it substitutes two previous models – Beneteau First 27.7 and Beneteau First 31.7. The original Beneteau First 30 was born in late 1970’s when André Bénéteau ordered a brand new concept of sailing-cruiser from André Mauric. The success was proven soon after launch when Beneteau First 30 was elected the boat of the year on Paris Boat Show in 1978. 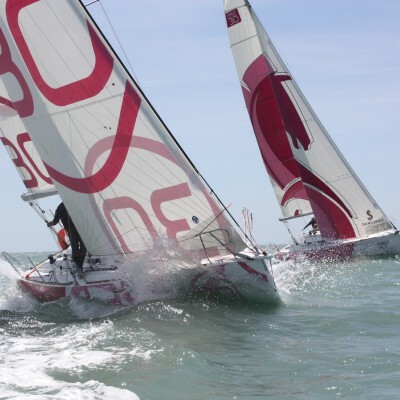 Almost thirty years later, the new Beneteau First 30 amazed the sailing audience because the concept was developed in cooperation with ocean sailor ‘professor’ Michel Desjoyeaux, who optimized deck equipment. The rest of designer’s job was done by Juan Kouyoumdijan, already famous for his work with America’s Cup and Volvo Ocean Race yachts. He moved the mast towards the center of the yacht making backstay redundant while the tensions are divided to two crosses angling 25 degrees backward. Accordingly, the jib’s surface is increased and now amounts to 28.8 m2 without overlapping. Mainsail sized 34.1m2 keeps square shape to its very top while a boom stretches almost to the stern, where it is lined up with mainsail sheet rails. Extra stability and maneuverability are gained with double rudder system, supported with rather wide and square shaped aft. Unlike modern trends which prefer the use of gennaker, best downwind performances with Beneteau First 30 are being achieved by the use of 87m2 spinnaker with carbon spinnaker pole. The option more suitable for solo sailing or sailing with reduced number of crew requires mounting of optional bow extension as support for gennaker or asymmetrical spinnaker. 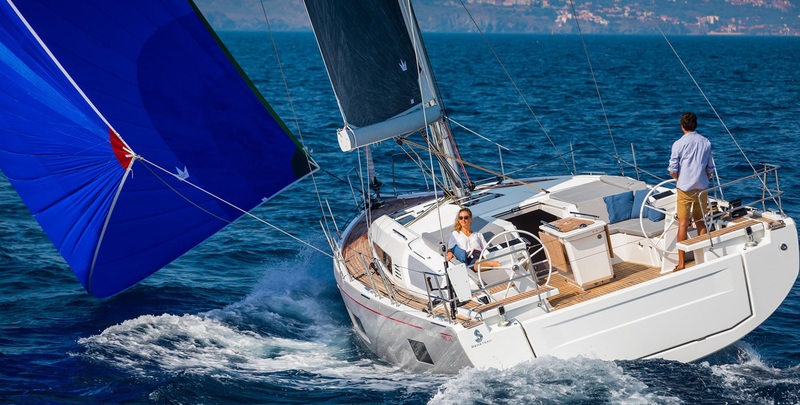 The superstructure of Beneteau First 30 is rather flat and low while chins are pretty high optimizing the water line and minimizing the resistance when sailing inclined. The spacious cockpit is framed with large benches, useful for cruising purposes yet not dysfunctional when racing. The deck is equipped with four Harken 40 winches while all lines and ropes are easy to reach and not too tensed, due to the sizes of the yacht and the division of forces. The interior is surprisingly spacious and light, concerning the size of the yacht and windows. Beneteau First 30 is expectedly very fast and demanding, but still easy to handle and maintain in the conditions of heavy wind. For the windless situations, there is 30 HP Yanmar engine providing some 6-7 knots of cruising speed, supported by the two-wing folding propeller. Beneteau First 30 will not disappoint demanding competitive sailors on the race for sure, but those who like comfort and easy cruising should be careful when choosing this toy for their holidays.